McGill University, B.C.L. & LL.B. 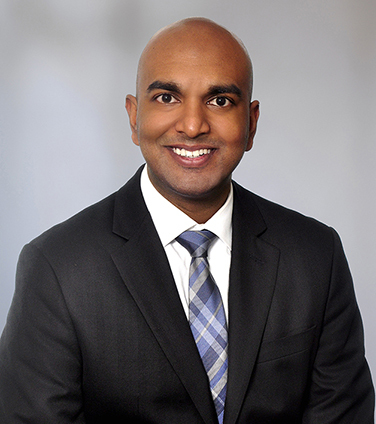 Gajan is an associate in Osler’s Competition and Foreign Investment Group. Gajan’s practice covers all areas of competition/antitrust, foreign investment and international trade. He has advised domestic and international clients in a variety of industries on competition law matters as well as matters related to the Investment Canada Act. Gajan also advises multinational and domestic businesses on international trade policy, international trade strategies, and market-access concerns, including export and import controls and trade remedies, such as anti-dumping, countervailing and safeguard measures. Gajan graduated from McGill Law School (LL.B. and B.C.L.) and completed his undergraduate degree in Systems Design Engineering at the University of Waterloo. Prior to law school, Gajan worked as a technology consultant for a large consulting firm. Office Depot, Inc. in its US$1 billion acquisition of CompuCom Systems, Inc. Assisted TELUS Corporation in connection with its proposed acquisition of Manitoba assets from Bell upon closing of the Bell-MTS transaction. Acted for a Canadian pipeline company opposing the introduction of anti-dumping duties for large diameter line pipe before the Canadian International Trade Tribunal. Advised a U.S. producer of gypsum board on how to adjust its business processes to address the imposition of anti-dumping duties on its imports into Canada.